This Halloween, IllumiNaughty returns to Bowlers Manchester in Manchester for another evening of psychedelic debauchery! Join the Goblin and Alice, and let us take you to another dimension where the Queen of the Damned reigns supreme. Uniquely designed stages with visuals, music and enough entertainment to keep you going to 5am! 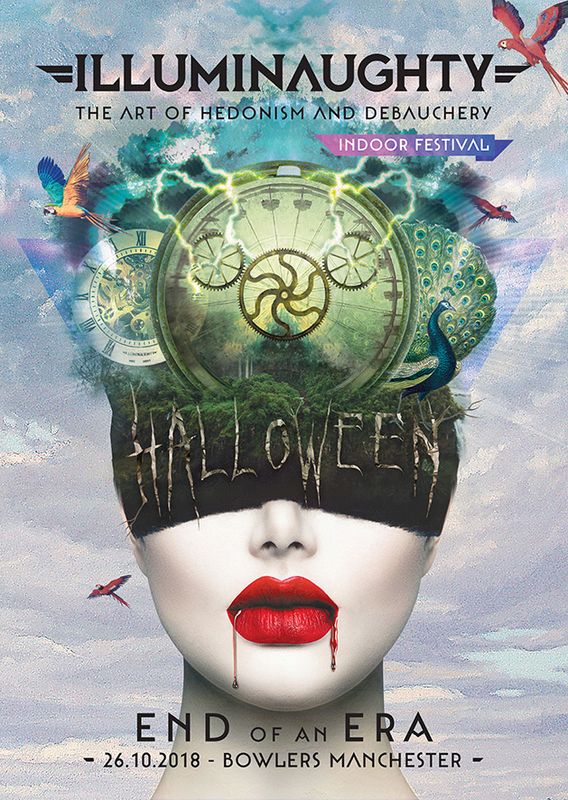 With 4 fully decorated rooms and stages custom-made by Visual Architects hosting the very best psytrance, drum & bass, bass and metal DJs, live performers, market stalls and a fun fair, this is definitely the biggest and most immersive Halloween party in town! SUPER EARLY BIRDS ALREADY SOLD OUT!